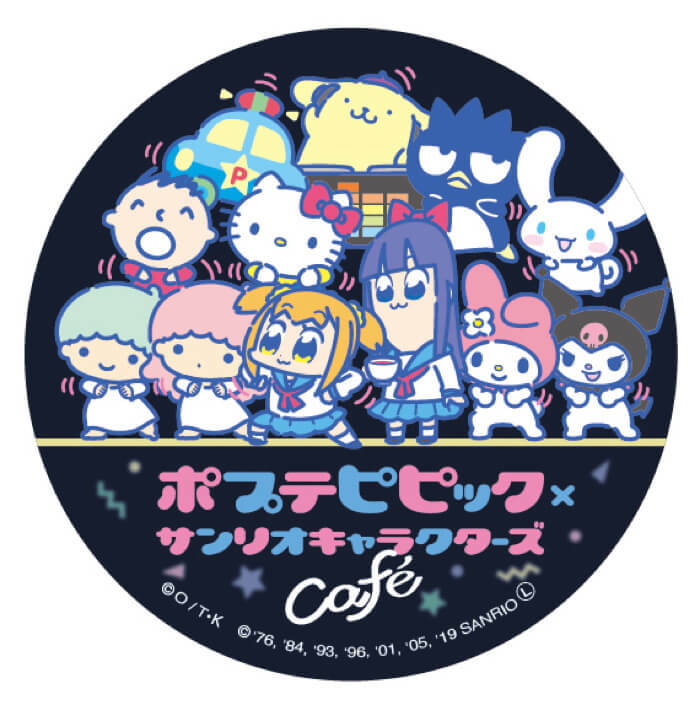 Pop Team Epic is set to collaborate with Sanrio’s cast of characters at a limited time themed cafe at Dining Park Ikebukuro which is located on the 8th floor of Seibu Ikebukro. It will run from February 7, 2019 to April 14, 2019. 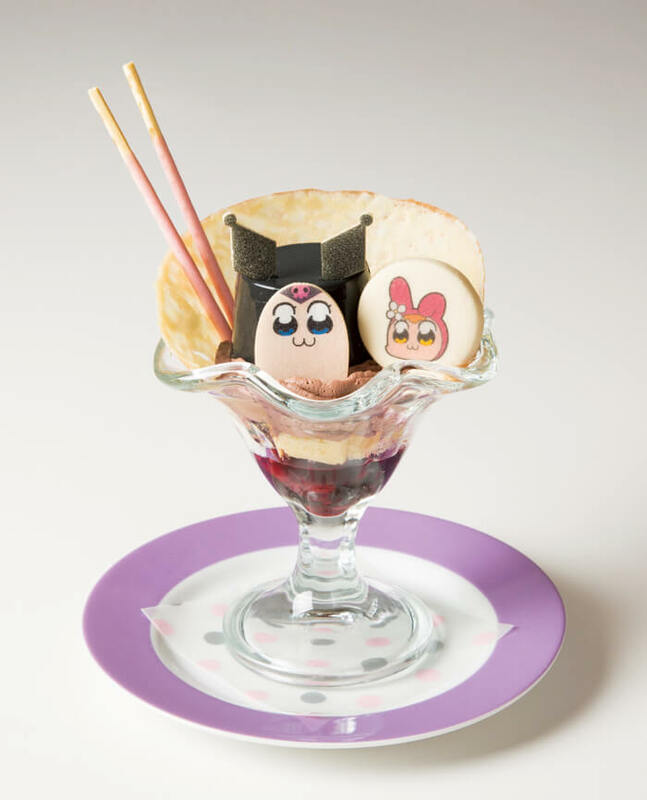 Pop Team Epic is a four-panel surreal comedy manga written and illustrated by Bkub Okawa. It received a 12-episode series which received much love outside of Japan making it onto Crunchyroll and even Toonami in the US. 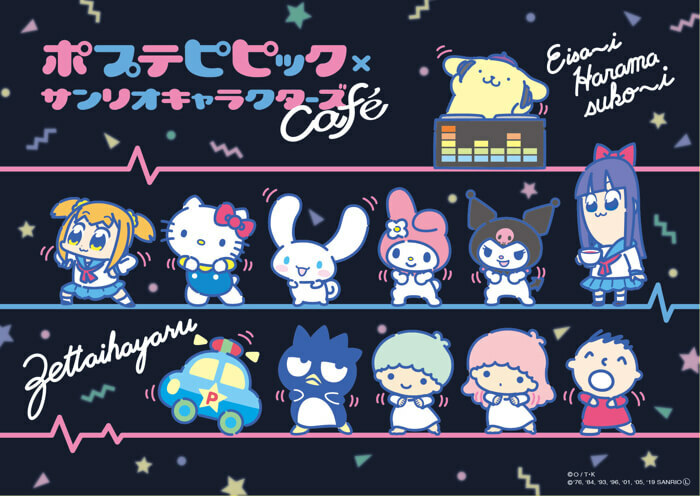 Witness Popuko and Pipimi join hands with Hello Kitty, Pompompurin and other Sanrio characters with a line-up of inspired food, desserts, drinks and exclusive merchandise. 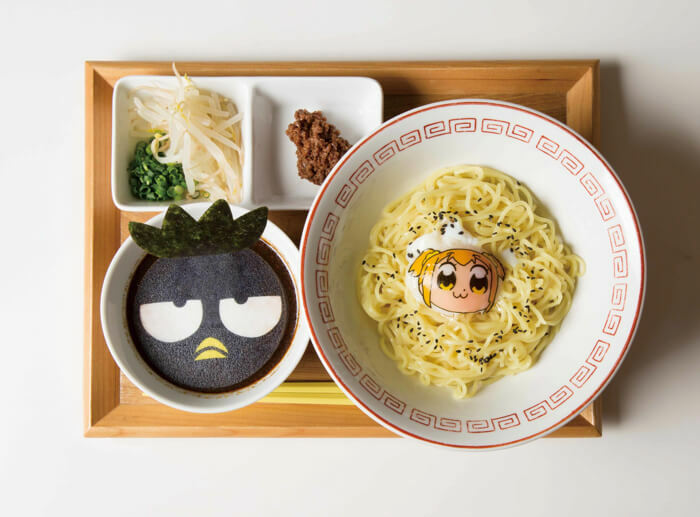 Enjoy a hearty bowl of noodles topped with a soft boiled egg Popuko that’s served with a spicy black sesame tan tan soup made to look like Badtz-Maru. It may look funny but the flavour combinations of the egg and soup make for a delicious meal. 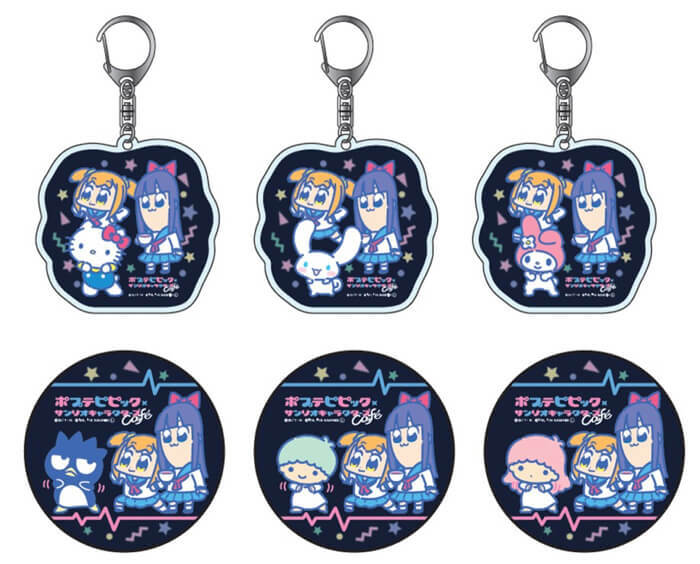 Popuko and Pipimi are looking adorable in their Hello Kitty buns. 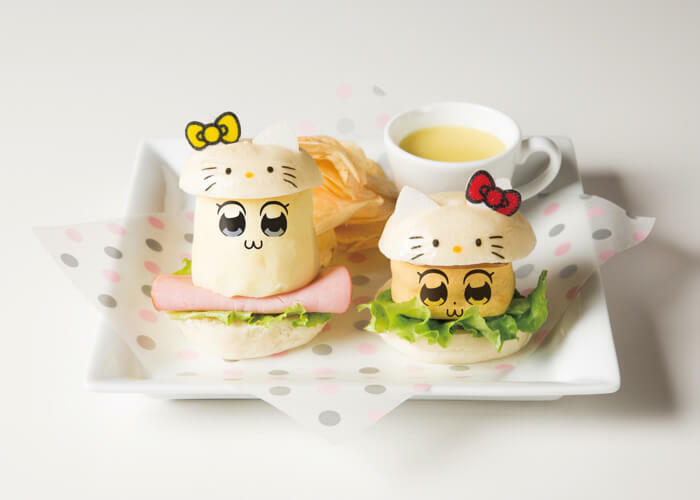 Popuko is made from galantine style meat and a wrapped in a lightly fried egg while Pipimi is made of mashed potato. This spicy mapo tofu is topped with a giant Tabo rice ball (which contains a meatball) and another soft boiled egg Popuko. They seem to be getting on pretty well! 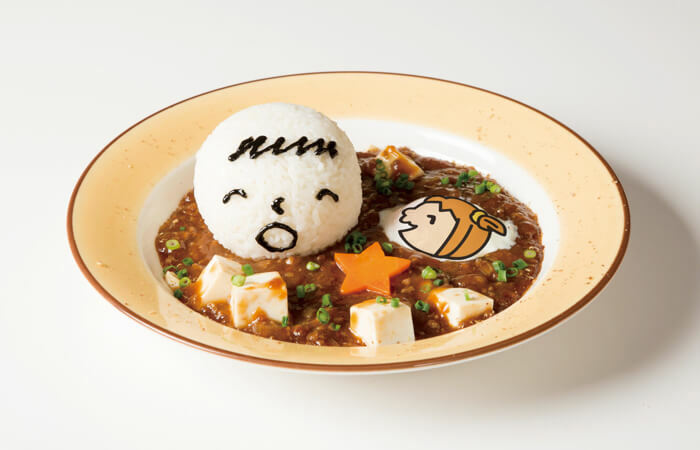 In this dish Pipimi’s face is made from sweet boiled corn. 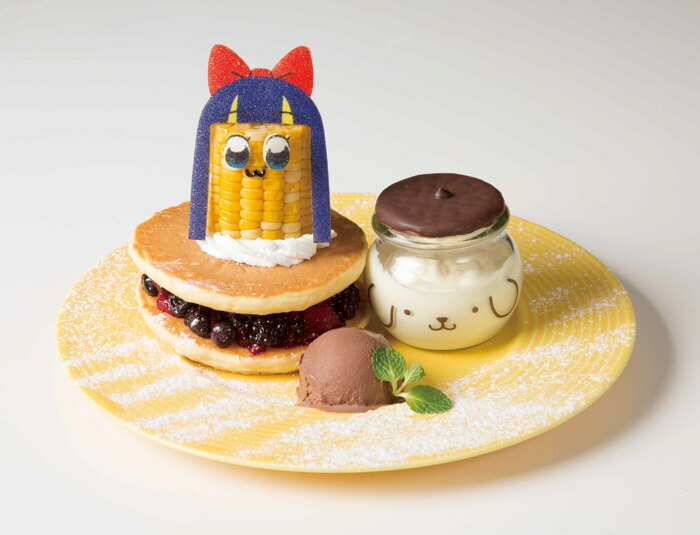 It comes with pancakes packed with berries and Pompompurin custard cream sauce. Pipimi has transformed into Kuromi from the Sanrio cast. She is made from a black coffee flavoured purin. Popuko is also dressed as My Melody. The dessert comes with berry sauce, chocolate whipped cream and a crepe. 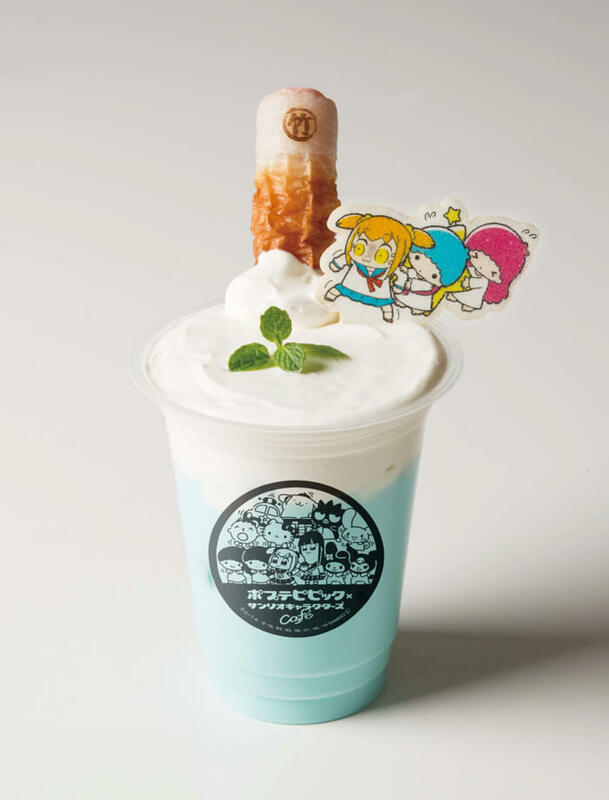 These 3 drinks drink come with a tube-shaped fish-paste cake straw and a wafer cake that has Popuko, Kiki and Lala illustrated on it. 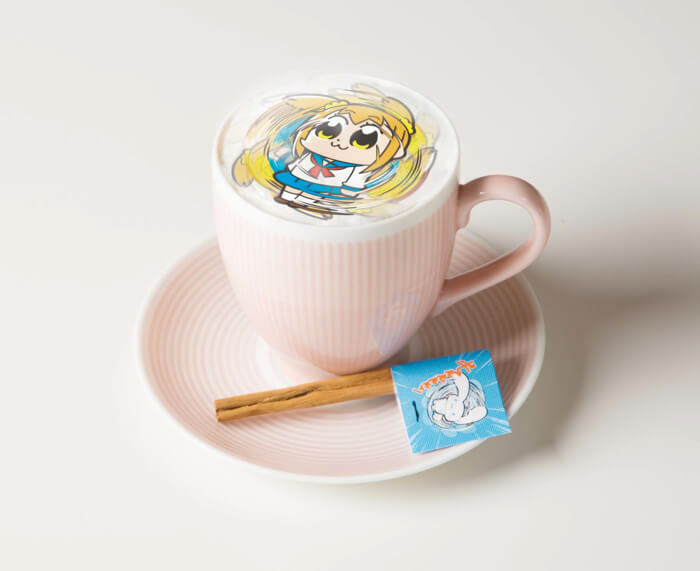 Enjoy stirring your hot chocolate Popuko with a whole stick of cinnamon. You’ll want to whip out your phone and get it on video. 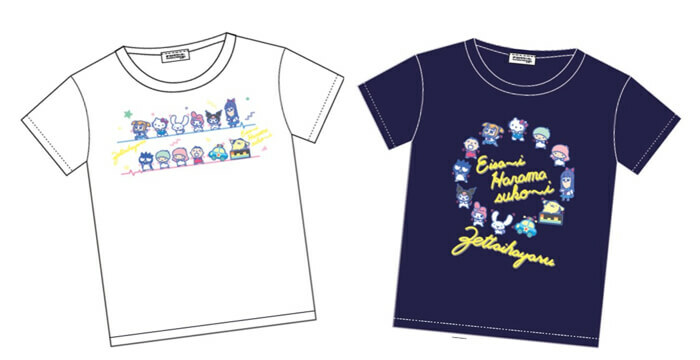 There’s a bunch of exclusive collaborative merch to grab too! Also, when you order food, you’ll get a free lunch mat and postcard, and when you order a drink you’ll get a coaster. 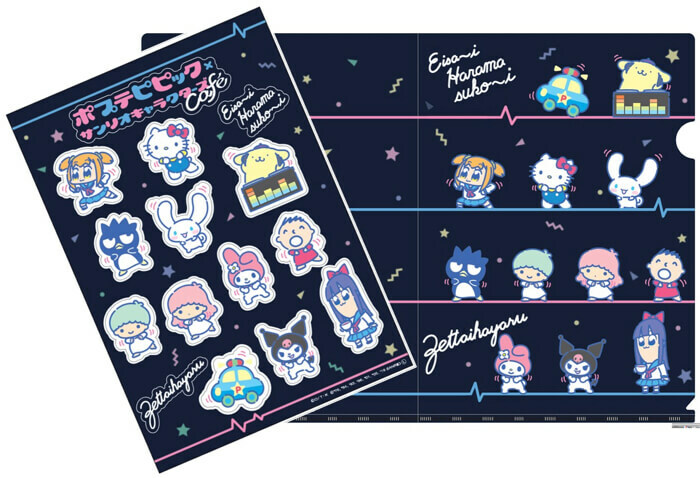 These are limited in stock so make sure you visit early so you get them!